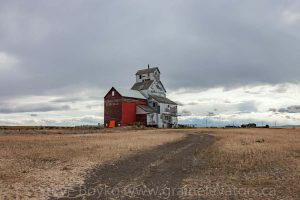 The Alberta Pacific grain elevator in Raley, AB. September 2017. Alberta has a number of interesting grain elevators, from the green Alberta Wheat Pool elevators to the unique Buffalo grain elevators.